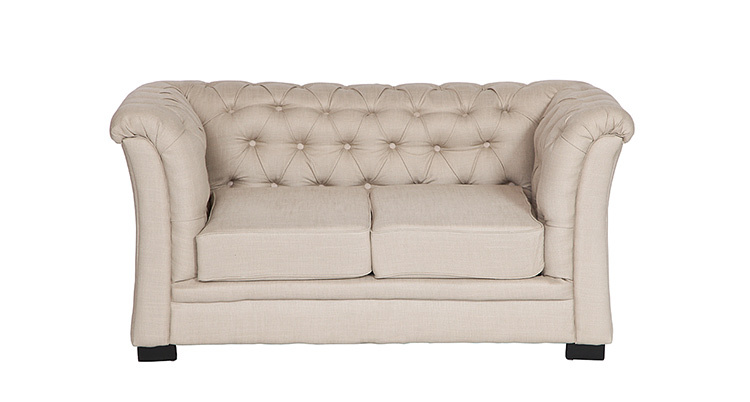 The Nob Hill Loveseat is made of beige linen fabric with button tufting and finished with wooden legs. It is also available in gray. We also carry the matching Nob Hill Sofa – Beige and Nob Hill Chair – Beige. It is one of the components of the Nob Hill Lounge Grouping – Beige.